Students in grades 9-12 meet on Sunday mornings at the Youth Center from 10:30 til noon. Our time usually includes a large group opening, a creative activity or object lesson to illustrate the theme of the morning, and smaller group discussion. Students in grades 9-12 are also encouraged to be a part of our Sunday evening service, called HSM. It is from 6:00-8:00 pm at the Youth Center. 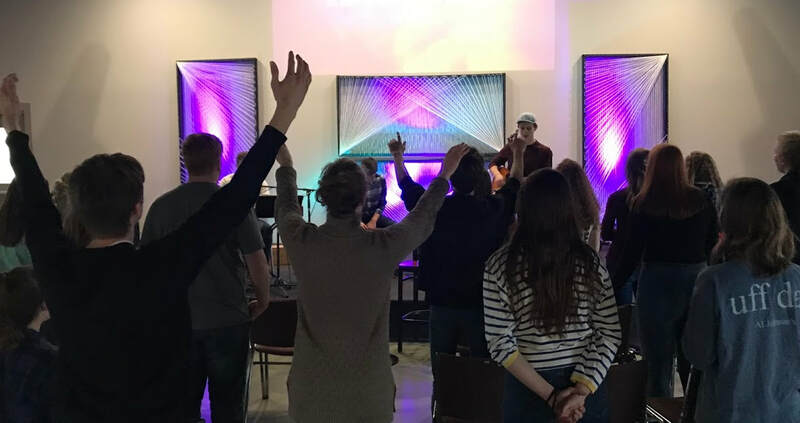 The focus at HSM is create a Jesus-loving, all-accepting atmosphere where anyone who is present feels welcomed like they were at home and, at the same time, drawn a little closer to God and his heart.